These are two "fortunes" that my son and I received in our fortune cookies the other night...um, not exactly what I was hoping for. Looks like there is a bored prankster in the fortune cookie factory. To see some more inspiring fortune cookies click here. 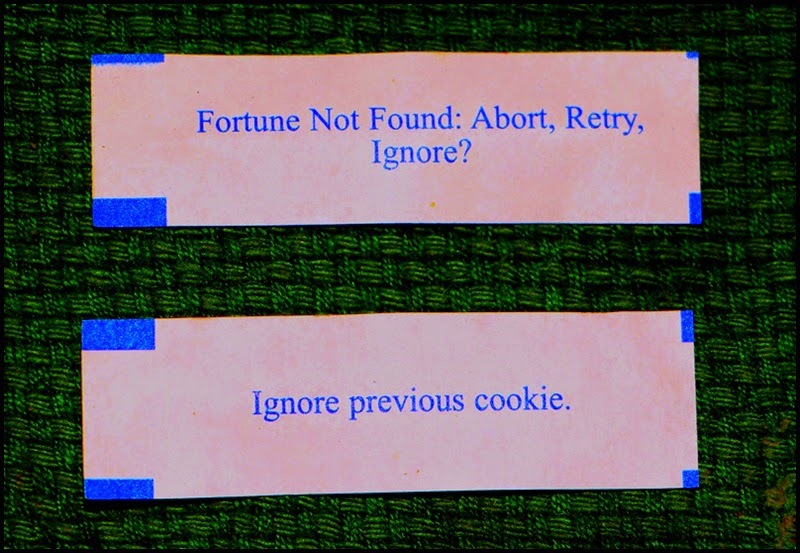 More in the Fortune Cookie series.